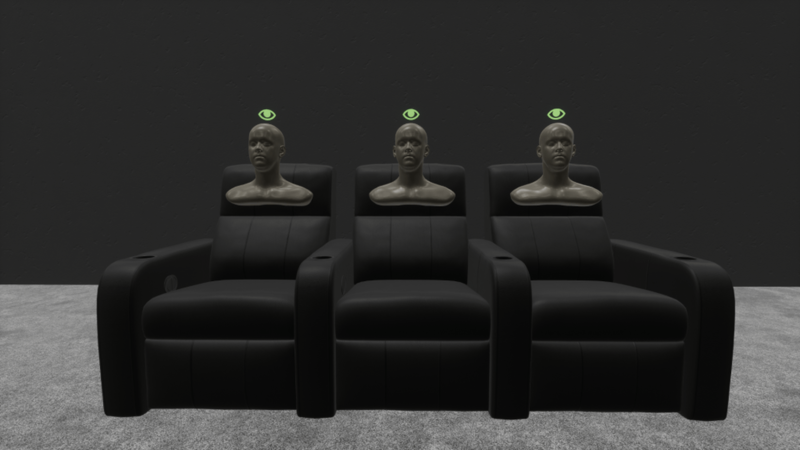 This release brings you more models, an experiment with CAD export, and some changes that made a few clunky features easier to use. 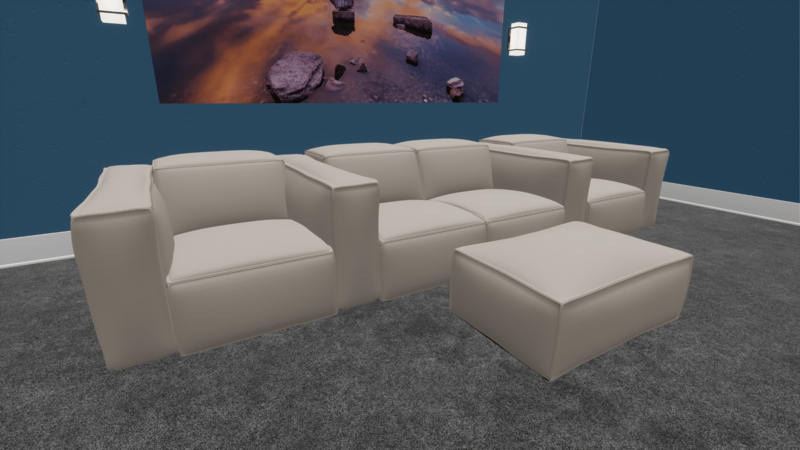 We continue to add to more models, both generic and manufacturer specific, to our library to create a more complete and rich design experience. This release features models from Cinematech and Cineak. Not only is Modus a great design tool, but with the addition of the CAD export experiment, we take another step towards making Modus more practical. 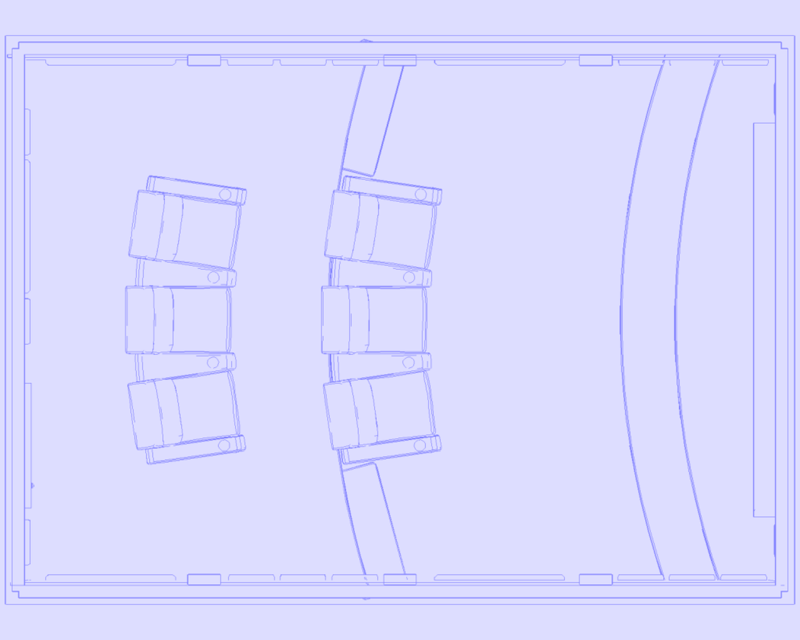 We hope to continue improving on CAD export features in future releases. Added basic CAD export. 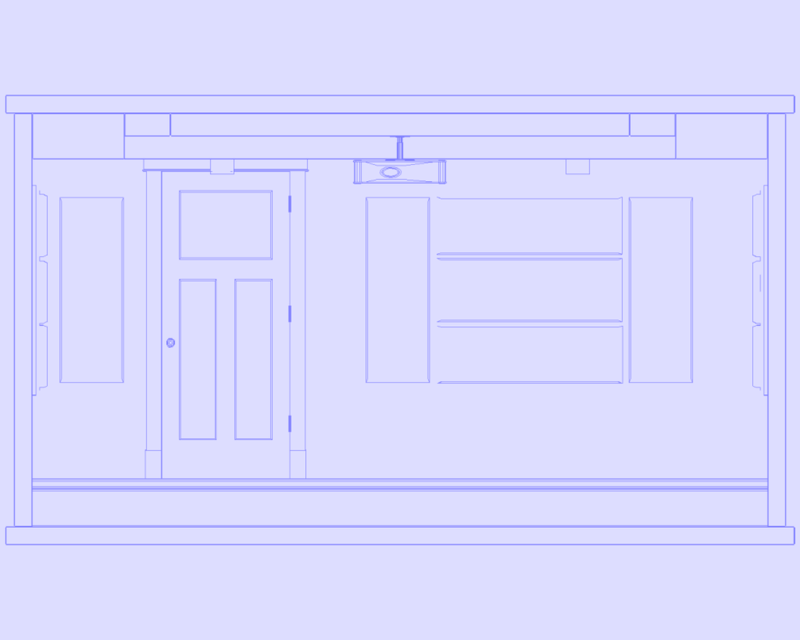 Select a project, then a space, and click “Export to CAD!” It outputs .dxf and .png drawings for 6 orthographic views. This is an experimental and barebones feature right now. Floor and back views shown below. 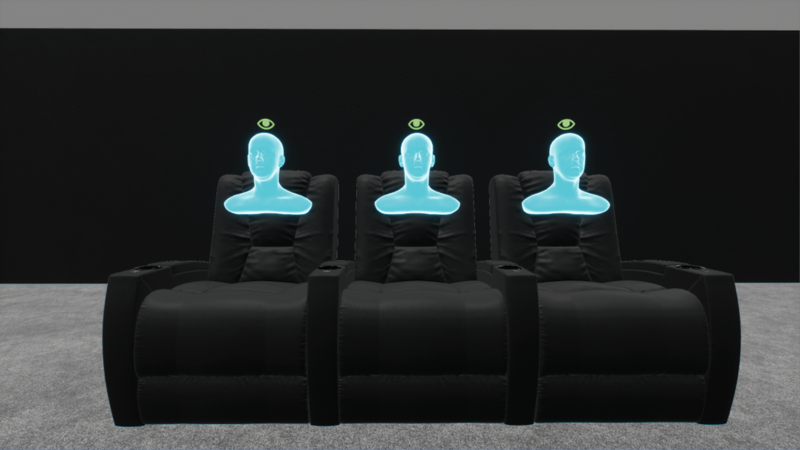 Sight lines assistants now use a tech-like texture to make them less creepy. Creepy on the left, new not-so-creepy texture on the right. New color picker! It’s now easier to get the color you’re looking for and requires fewer clicks. Rulers now tilt towards you and attempt to stay upright for better readability. The video clips have been removed from the installer so you’re not re-downloading them each time. This helps to significantly decrease the download size of future releases. 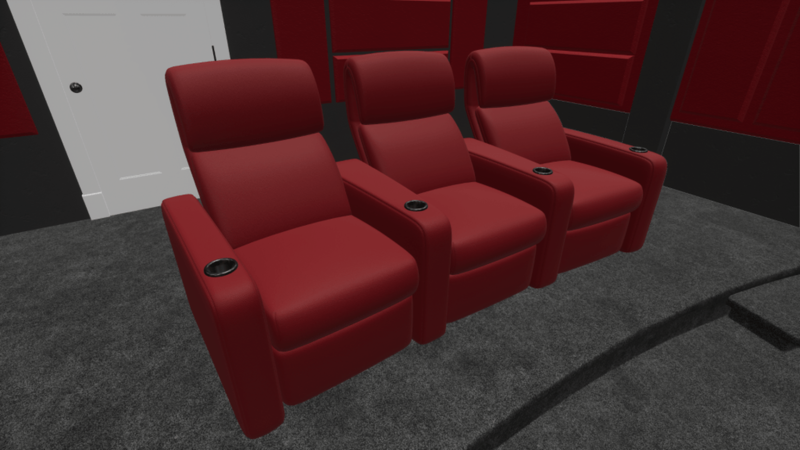 Added the Valentino (left) and Le Grande (right) seating from CinemaTech. You can add straight and wedge arms. More options coming soon! 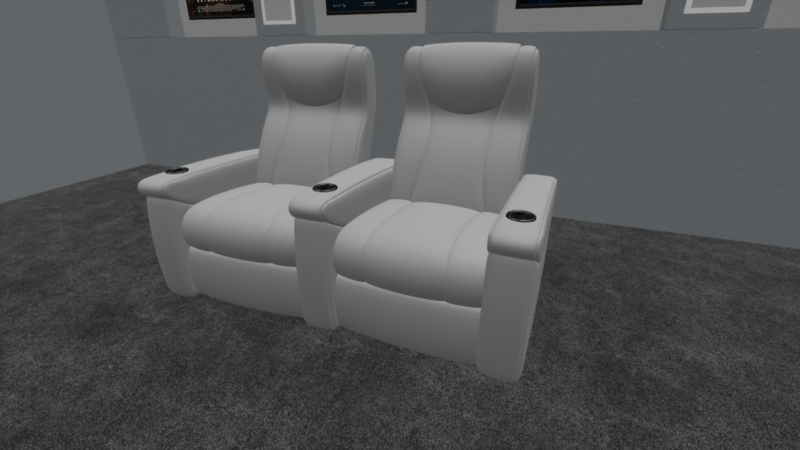 Added the Gramercy seat by Cineak. You can add straight and wedge arms. More options coming soon! 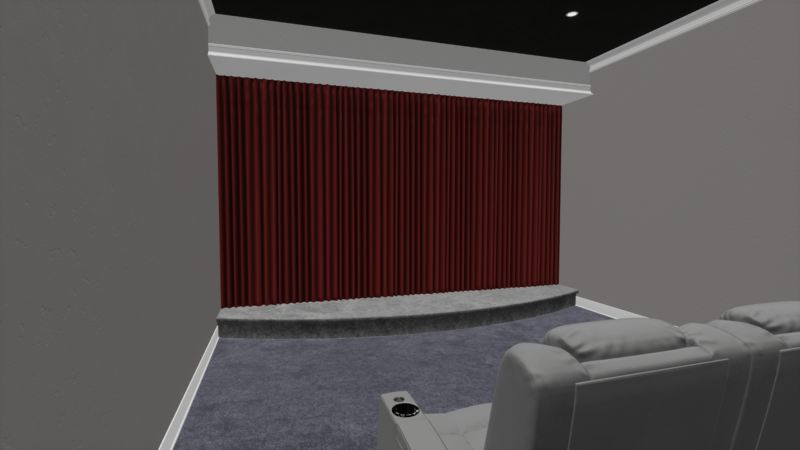 Added some basic curtains. These work best when placed against a wall. Added a generic round in-ceiling speaker. Long product names no longer cause issues in the library menu.